The 2019 World Maker & Inventor Expo preparations are currently underway! We look forward to celebrating all things Maker with you this Saturday, April 27th at Boone County High School! We will be working jointly with the Camps & Activities Fest from Camp Ernst Middle School to make this year's World Maker Expo even bigger and better than ever before!!! The Camps & Activity Fest is moving to our location at Boone County High School on the same date and at the same time! You will have the opportunity to get STEM-y AND learn more about summer camps, activities, and opportunities at the same time! No! Tickets are remaining the same cost as before. You are getting twice as much bang for buck! If you are a vendor or school interested in participating in the Maker Expo, nothing will change. You still need to register your booth/activity under the "Register Booth" tab above. If you are a program that focuses on activities or summer camps, you can still register with at the above link, or directly with the event coordinator Julia Pile HERE. Thanks to Chad Brady for the photos shown above! 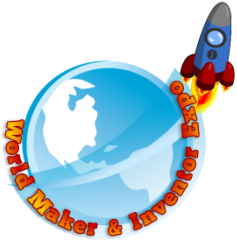 Check out this video from the 2016 World Maker & Inventor Expo, created by Bryan Cobb! 2017 World Maker & Inventor Expo video created by students, Holly Watkins and Noah Riddle! Instructor is Scott Richards, Boone County Design School! 2017 World Maker & Inventor Expo flyer designed and created by NKY Makerspace intern, Emma Sprague.